Poliomyelitis, an acute infectious disease which chiefly affects the central nervous system, is included in the list of 20 communicable diseases which are to be reported monthly by all institutions to the State Bureau of Health Intelligence for onward transmission to India's Central Bureau of Health Intelligence (CBHI). The reported number of 17,441 cases of poliomyelitis (annual average) since 1974 fail to reflect the magnitude of the problem in India. Directorate General of Health Services (DHGS) in collaboration with the State health authorities organized sample lameness surveys of children 5-9 years in the community during 1981-82. Poliomyelitis was found to be the major cause of lameness in children 5-9 years (64.5%). Data on admission of poliomyelitis cases from selected hospital in metropolitan cities were collected. All the hospitals reported maximum number of polio cases (more than 78%) below the age of 2 years. This data reinforce the importance of improving vaccination coverage in the age group most affected. High incidence of poliomyelitis (45% of the cases) were observed during July, August, and September, corresponding to the well demarcated monsoon season. This suggests a need to intensify immunization coverage during the low polio incidence period, namely, November to April. Polio vaccine was introduced in the national immunization program in 1980. The schedule recommends 3 doses of oral polio vaccine (OPV), starting from the age of 3 months with intervals not less than 1 month. DPT and polio vaccine are administered to the child at the same time. 1 booster dose of OPV is recommended 12-18 months later. The live attenuated OPV, not produced in India is used in the national program. The requirement of the program is met by import of bulk concentrated vaccine separately for type 1, type 2, and type 3. Then, it is diluted, blended, and ampouled by Haffkine Biopharmaceutical Corporation, Ltd. The recent visit of Dr. Jonas Salk has raised the issue of introduction of killed polio vaccine (KPV) in the national program. It now is claimed that 2 doses of KPV are adequate for protection, and this can be blended with DPT to make it a quadruple vaccine. The many advantages of the live OPV used in the national program are listed, including: confers both humoral and intestinal immunity like natural infection; immunity induced may be lifelong; induces antibody very quickly in a large proportion of vaccines; and oral administration is acceptable and easier to achieve. Oral polio vaccine was introduced into India's national immunization program in 1979-80. Coverage with this vaccine has increased rapidly from 0.67 million in 1979-80 to 9.63 million in 1984-85. 3 doses of the vaccine are recommended at age 3-12 months, followed by a booster dose 12-18 months later. The vaccine is administered along with the DPT vaccine. The vaccines are provided as a package of services under the expanded program on immunization (EPI). India's government initiated the EPI in 1978 with the goal of reducing the morbidity and mortality due to diphtheria, pertussis, tetanus, poliomyelitis, tuberculosis, and typhoid fever by making vaccination services available to all eligible children and pregnant women by 1990. In 1985-86, measles vaccination was included in the program. Another objective was to achieve self-sufficiency in the production of vaccines required for the program. Immunization services are provided through the existing health care delivery system: hospitals, dispensaries, and maternal and child health (MCH) clinics in the urban areas primary health centers in rural areas. The aim of universal immunization for all India has been set for 1989-90; some areas may achieve this goal earlier. 30 districts and catchment areas of 50 medical colleges have been taken up in the universal immunization program for 1985-86. The objectives of the universal immunization program include: to provide universal immunization coverage to pregnant women and to infants; to document a reduction in the vaccine preventable diseases; to develop effective implementation and to streamline logistics; and to encourage the active participation of the medical faculty, interns, and students from the planning to the evaluation stages. The government of India provides the vaccines required under the national immunization program to the state health authorities. Over 50 million doses of oral polio vaccine are expected to be utilized during 1985-86. The annual requirements are likely to exceed 80 million doses by 1989-90. The planned targets of vaccination coverage are linked closely to the development of the cold chain system. Since 1984 field samples of oral polio vaccine have been collected for potency tests in order to monitor the quality of the cold chain for vaccines. The effectiveness of the control measures will be evaluated by determining the vaccination coverage of the eligible population and by recording the reduction in incidence of poliomyelitis in the area. This article is based on the analysis of the 17,839 cases of paralytic poliomyelitis treated at Calcutta's B.C. Roy Polio Clinic and Hospital for Crippled Children in 1965-80. Yearly statistics indicate a rising trend in the incidence of polio, with the lowest number of cases (522) encountered in 1966 and the highest number (2208) in 1979. 48% of patients attened the hospital in the acute stage of the disease and 10% were seen in the residual stage. The cases came from virtually all the states of India, indicating polio's endemic characteristic. An unexpected finding was that the polio cases were equally distributed between urban (50.03%) and rural (49.98%) areas. The duration of illness was 1-30 days in 48% of cases, 31 days-2 years in 42% of cases, and over 2 years in another 10%. Of interest was the observation of a uniform fluctuation (a peak followed by a lull) in alternate years. It is speculated that, in the years with a higher disease incidence, the immunity status of the population improves from subclinical infection. These findings point to a need for continuing emphasis on the prevention and control of poliomyelitis as well as proper surveillance and recording. This study was aimed at determining the prevalence of residual poliomyelitis paralysis in children 5-15 years of age in Ajmer City, Rajasthan, India. Household interviews focused on 6000 randomly selected children (3 clusters of 2000 children each). Epidemiologic information was obtained and a physical examination was performed to determine the presence of lameness (defined as not being able to walk properly or having 1 leg shorter than the other). Of the 148 children identified as having some type of orthopedic or neurologic defect, 104 had been affected by poliomyelitis. The overall prevalence of lame children was 17.3/1000, with the highest prevalence (89.55/1000) in children 5 years of age. There was a significantly higher prevalence rate of polio paralysis in males (21.15/1000) than females (13.06/1000). 69% of the children had been affected by poliomyelitis below the age of 3 years and 92% had been affected below the age of 5 years. 46% of affected children were of the 1st or 2nd birth order. Paralytic cases were most frequent in children from social class I, but social class differences were not significant. Of the 6000 children surveyed, only 1162 (19.36%) had received oral polio vaccine. Among children affected by residual polio paralysis, only 12 (11.52%) had been vaccinated prior to the onset of disease and none of these children had received the full course of vaccine. These findings indicate that poliomyelitis is a major contributor to disease in children under 5 years of age in India and underscore the need for adherence to the complete schedule of polio immunization. 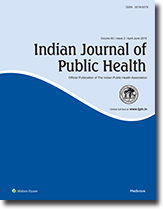 This study was designed to identify biosocial factors that contribute to India's high dropout rate for completion of the oral polio vaccine series. The study sample included the 2027 children registered in 1983-84 at an immunization clinic in Agra. At the time of the 1st dose, parents were educated about the importance of completing the series. 683 of the children were not returned for the 3rd dose, for a dropout rate of 33.7%. The majority of dropouts (42.6%) were clustered in the 3-6 month age group. There was a higher but nonsignificant dropout rate in females (35.4%) than in males (32.6%). The dropout rate was lowest among children of birth order 1 (23.2%) and highest in birth order 5 (72.1%). There was a statistically significant association between dropout rates and maternal occupational status; only 3.8% of children whose mothers were engaged in service occupations failed to complete the immunization series compared with 34.6% of those whose mothers were housewives. In addition, there was a significant association with paternal occupation. The maximum number of dropouts was noted among children whose fathers were laborers (51.2%) and the lowest rate was found among children of men in service occupations (23.6%). Finally, there was a significant inverse relationship between parental education and dropout rates. This relationship was most pronounced for maternal educational status. The dropout rate was only 5% in children whose mothers were educated at the high school level and above compared with 14% in children whose father's education was at this level. This article summarizes laboratory analyses of serum samples collected at New Delhi's Kalawati Saran Children's Hospital, a center for research on poliomyelitis. The analysis of 1462 serum samples processed for antibody level against polio types 1, 2, and 3 in primary monkey kidney cell lines indicated a predominance of type 1 infection in New Delhi until 1978 and after 1981; in the interim period, type 2 predominated. In addition, seroconversion studies were carried out after 3 and 5 doses of oral polio vaccine. The seroconversion rates for types 1, 2, and 3 polio were 63%, 75%, and 75%, respectively, after 3 doses and 89%, 94%, and 97%, respectively, after 5 doses. Seroconversion rates were significantly higher in the winter than in the summer months. Analysis of 1652 cases of polio in 1977-81 in which children had been vaccinated revealed an overall polio prevalence rate of 6.2/1000 after the 1st dose, 3.2/1000 after the 2nd dose, and 4.7/1000 after the 3rd dose. A further analysis of 36 serum samples collected from normal adults found that only 4 samples were negative to antibodies against all 3 types of polio virus. Finally, random testing of the potency of oral polio vaccine batches has indicated that all have a satisfactory titer. A 1981 survey of 24,840 children in Delhi 5-9 years of age found a poliomyelitis prevalence rate of 5.88/1000; the onset of disease was 3 years of age and under in 82% of cases.